A classified Israeli Foreign Ministry report — circulated in mid-December among top Israeli government national security and foreign policy officials — determined that Saudi Arabia will not support the Trump administration's Middle East peace plan and won't normalize relations with Israel unless the Israeli government makes a substantive concession to the Palestinians, officials who have read the report told me. Why it matters: The report contradicts the public line from Prime Minister Benjamin Netanyahu, who is also Israel's foreign minister. Over the past year, Netanyahu has claimed that Israel can normalize relations with Gulf nations, including Saudi Arabia, despite the Palestinian issue. Details: The report was written by analysts from the Foreign Ministry's Political Research Center and was classified "secret" because it deals with the highly sensitive issue of Saudi-Israeli relations. The report was sent to a small group of ambassadors and national security officials in the Israeli government. 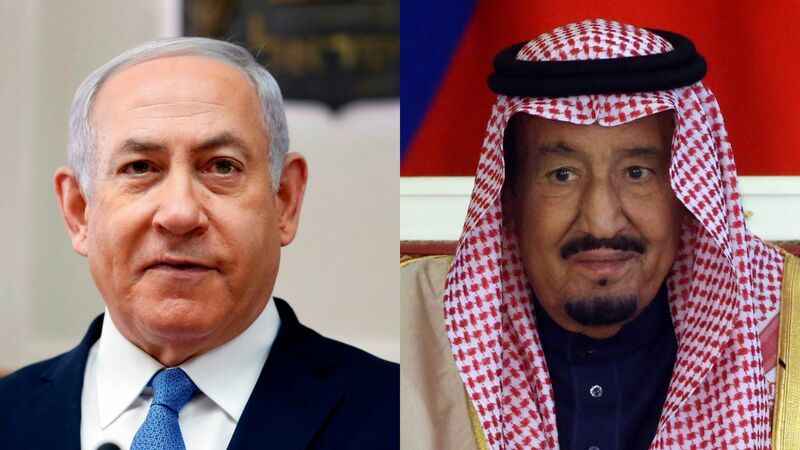 A Foreign Ministry official who read the report told me it said that Saudi Arabia's King Salman had taken back the Israeli-Palestinian file from his son, Crown Prince Mohammed bin Salman. It stresses that Salman rolled Saudi policy on the issue back to the kingdom's traditional alignment with the Arab Peace Initiative, which states that normalization of relations with Israel will only happen after the formation of a Palestinian state. What they're saying: The Foreign Ministry official told me, "There was a feeling in the last year that there was a window of opportunity to reach a breakthrough with Saudi Arabia — but even if there was such an opening, this window is closed for now." Former U.S. officials who were briefed on the Jan. 14 meeting between Secretary of State Mike Pompeo and Salman in Riyadh told me that the Saudi king's messages only strengthened the report's conclusion. They said Salman stressed to Pompeo that Saudi Arabia will not support the Trump administration's peace plan if it doesn't address Palestinian demands — mainly regarding a capital in East Jerusalem.